U.S. Sen. John Kerry must have been channeling his inner [David] Letterman yesterday. The Bay State senator was telling a group of business and civic leaders in town at his invitation about the "bizarre&apos;&apos; tale of how SC Gov. Mark Sanford had "disappeared for 4 days&apos;&apos; and claimed to be hiking along the Appalachian Trail, but no one was really certain of his whereabouts. IMO Kerry was actually channeling an adolescent. Target aside, his joke was just stupid. Kerry&apos;s nowhere near Letterman&apos;s league. Furthermore, he made the joke before we knew Sanford was visiting his Argentinian lover. So his comment almost sounds like a bit of a death wish to me. The mere idea of someone doctoring the photo of a special needs baby is appalling. To learn that two Alaskans didit is absolutely sickening. Linda Kellen Biegel, the official Democrat Party blogger for AK, should be ashamed of herself and the Democratic National Committee should be ashamed for promoting this website and encouraging this atrocious behavior. Biegel flippantly responded she was only making fun of the man whose face was photoshopped over baby Trig&apos;s - AK radio host Eddie Burke - not Sarah or Trig. Still, the damage has been repeatedly done. But wait, to whom? According to LifeNews.com, a recent Pew poll finds Palin&apos;s favorable ratings on the rise, from 42% to 45% since last October. So the vilification of Palin and her family is apparently resulting in an unintended consequence: Palin popularity. By all accounts, Palin should have been embraced by the feminist movement that has so venomously attacked the men who created the "glass ceiling." 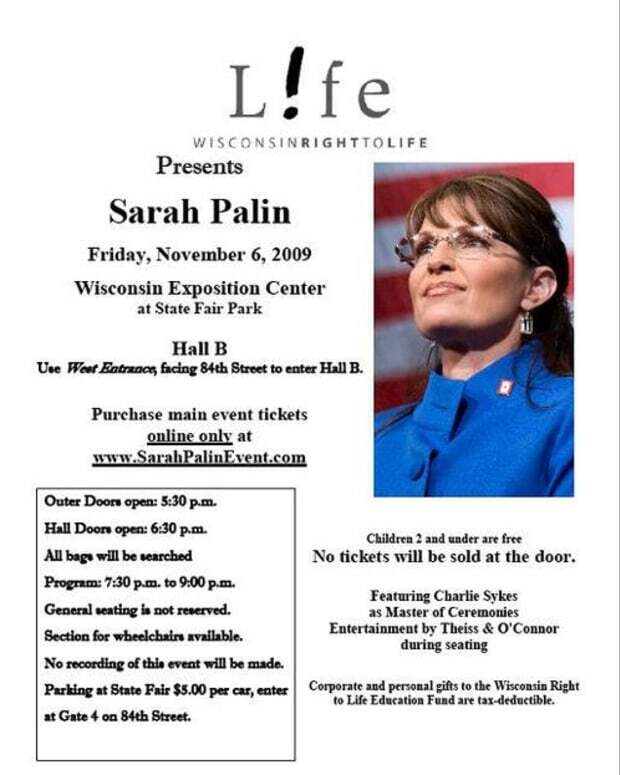 What then, did Palin have, or not have, that the feminist movement chose not to welcome this woman governor as a viable candidate for the vice-presidency? 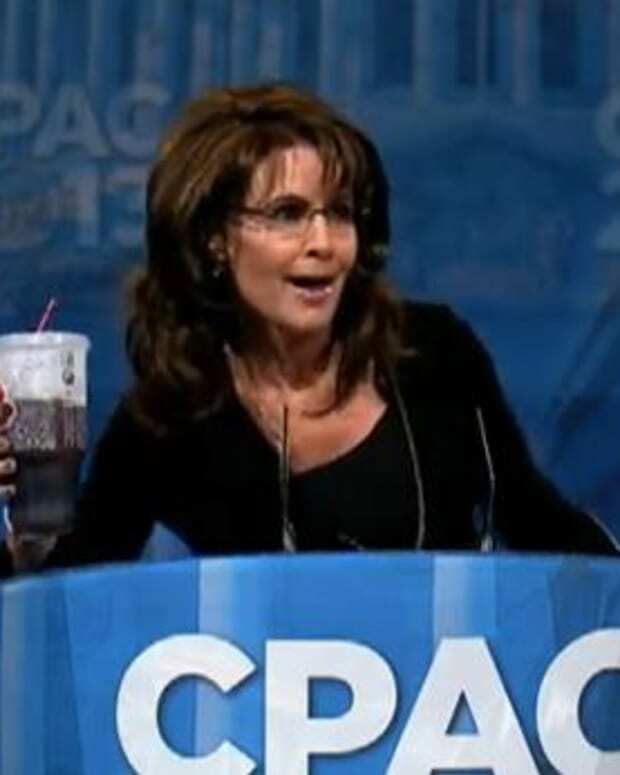 Say what you will, but to claim, after the Biden cat has been let out of the bag many, many times, that Palin was not qualified to be second-in-command is just absurd. So what was it about Palin that brought the absolute vicious - yet clearly acceptable - attacks upon her as a person and as a candidate? It would seem that her choice to carry to term a baby with Down syndrome along with her staunch pro-life stand made her public enemy number one.